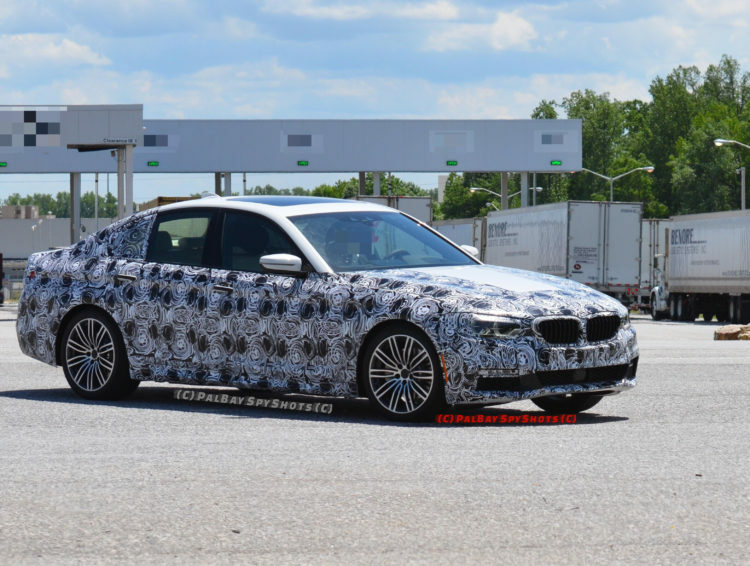 We aren’t too far away from the official debut of the next-generation G30 BMW 5 Series. While we patiently (or impatiently) wait, some select journalists were given the opportunity to test the new 5er in Wales. These 5 Series cars were all pre-production, still wearing camo and were still works in progress. In fact, BMW engineers were sitting in on the test drives, making adjustments via laptop on the move. But while these cars aren’t quite finished, driving them did give journos a good look at what to expect from the next-gen 5 Series. 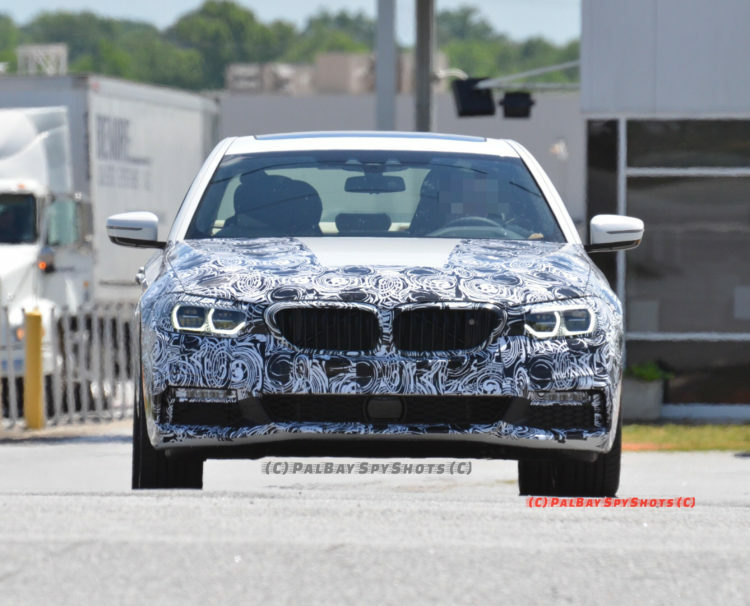 The latest review comes from Automobile Magazine, and it seems to favor a specific variant of the upcoming BMW 5 Series. Each journalist was able to sample three different versions of the G30 — a BMW 530i sDrive with the standard suspension and steering setup, a 530d xDrive with sport suspension and IAS (Integral Active Steering) which is basically rear-wheel steering and lastly a 540i sDrive with DDC (Dynamic Damper Control) and IAS. Each car was chosen and spec’d to give a distinctly different personality and show off the breadth of range that the new 5 Series has. BMW worked very hard on making the 5 Series a very dynamically capable car while appealing to a broad audience. That’s no easy task and one BMW admitted as such when talking about suspension tuning, saying “What makes this task so challenging is the need to cater to a wide spectrum of customer profiles. But when it comes to the crunch, driving pleasure always is the top priority.” To do so, BMW has fitted all 5 Series models with brand-new Bilstein dampers. This is a change-up from the Sachs-Boge dampers of years past. According to this review, it seems as though BMW hit some high notes and some low notes with a couple of the cars but got it just right with one. The first car driven was the BMW 530i sDrive in bare-bones guise. This packs BMW’s new B48 2.0 liter turbocharged four-cylinder engine and an eight-speed automatic, powering the rear wheels (sDrive indicating the latter). Automobile claims that this is the most uninspiring car of the 5 Series range. With the basic and bland suspension tuning and standard steering, the 530i sDrive felt a lot like the current BMW 528i. That’s to say a bit boring and uninspired. It drives fine, but nothing to write home about. The BMW 530d xDrive, which packs the 3.0 liter turbocharged I6 diesel engine, was better. BMW won’t bring this car to North America because I think BMW is working with Satan. This car had the optional sport suspension, which lowers the car about .4 inch, and IAS. The latter rear-steering system helped the 5 Series’ dynamics dramatically. It massively increased the car’s agility and instantly made it more fun to drive. Oddly enough, though, the hero of this car was its xDrive all-wheel drive system. It sends most of the power to the rear-wheels, which allows for a bit of fun, but also is able to provide enormous corner-exit grip. Much improved over the 530i sDrive soccer-mom lease special. The Goldilocks version, though, is the BMW 540i sDrive with the sport suspension, DDC and IAS. Thanks to the sport suspension and IAS, the steering is far better and the car is more agile. Automobile even claimed it felt as if it had the agility of a BMW 340i. The sport suspension also did an exceptional job of feeling sporty without being uncomfortable. Also, the different drive modes are now far more sperated in feel, giving each a real sense of purpose. There’s also a new one, called Sport Individual, which allows for custom tailoring of different settings, much like the “M” buttons on BMW M cars. No air suspension for the G30 5 Series, though, as BMW claimed it was too heavy and unnecessary. But the real hero of the 540i was its engine. The 3.0 liter B58 turbocharged I6 engine has been a sweetheart in everything we’ve used it in and it’s no different here. With silky-smooth power delivery and an excellent noise, this could be the best overall six-cylinder engine on the market. Overall, Automobile seemed impressed with the new 5 Series, so long as it was set up properly. That’s sort of been BMW’s M.O. these past few years. BMWs can be great fun to drive as long as they have the correct options selected, otherwise they can feel boring and floaty. 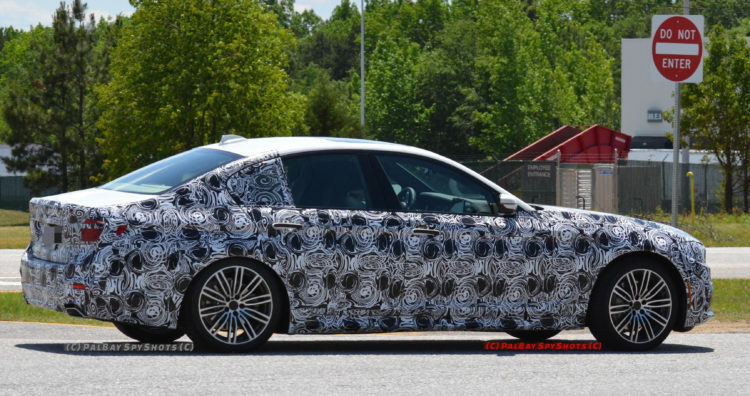 If you go with the standard BMW 530i, it’s going to be a boring luxo-barge. But if you select the 540i, check the DDC and IAS boxes and maybe an M Sport package, you’ll have yourself an incredibly fun mid-size luxury car.